These words by Nick Fury, Director of S.H.I.E.L.D. will ring and resonate in the hearts of every comic book aficionado, Marvel fan and advocate of the Avengers movie franchise. How far would we as humanity need to be pushed, to face adversity in order to set our differences aside and unite to defend the planet from a mutual threat? How far would an artist go, to collaborate with similar remarkable minds to create something new, hard hitting, mesmerising and memorable in a race against time? The answers were clear as glass when local Heavy Metal stalwarts Stigmata joined forces with Sri Lanka’s Geek and Cosplayer community to bring audiences a taste of something truly special. 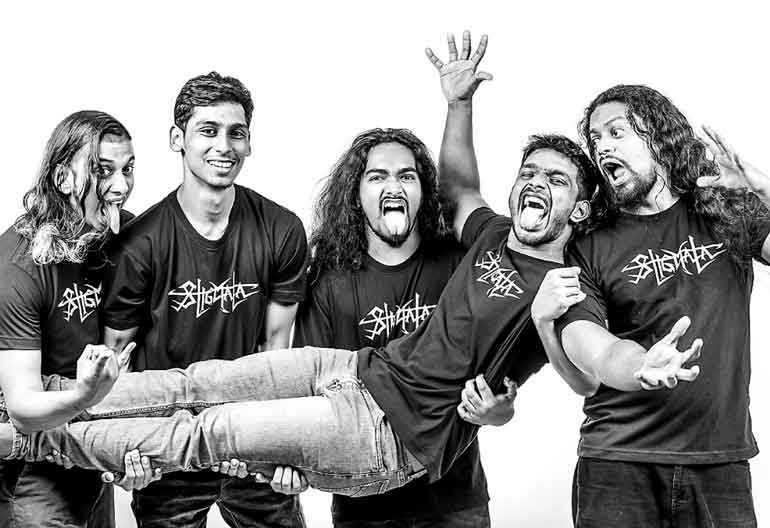 Approached by Ushan Gunasekera and Shayne Perera this March, Stigmata was elated to be entrusted to compose a new song as part of the soundtrack for the local version of the ‘Avengers: Infinity War’ trailer. The fan-made Lankan poster was even liked and shared publically on social media by the Russo Brothers (Anthony and Joseph) the Directors of the over 1.2 billion globally grossing box office hit. Seeing the commitment and being ardent supporters of the local geek and Comic Con culture, Stigmata took on the challenge and composed a new song which the band premiered at their intimate 18-Year Anniversary Invitees Only concert at Bar Collective on 24 March. 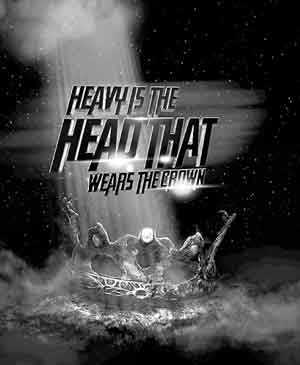 The song titled ‘Heavy is the Head that Wears the Crown’ left mixed reactions as any Stigmata song does after a debut performance until it has had time to grow on the listener. It was evident the band had sharpened its sound so it was heavier in scope, it did have certain familiar flourishes aside however it was a whole new experience for fans of all ages. As a band that has always taken fan response and feedback in a constructive manner the song was further refined and performed a second time at Mosh Scream Rock XII on 21 April to great appeal. The band had less than two months to create the song, rehearse and perform it live to test the waters and then to record it on time for the ‘Avengers: Infinity War’ global movie release. While the band perfected the new composition, Meraki United produced and directed the local cosplayers’ movie trailer of ‘Avengers: Infinity War’. The band meanwhile tightened up and roped in the talented Kasun Nawarathne (A.P.E, Mass Damnation, Genocide Shrines) who helmed production and sound engineering responsibilities, and mixed and mastered the new song. Buckling down during the Avurudu days, the band and Kasun worked tirelessly in a very short time to capture more than a little ‘lightning in a bottle’ as they commented and judging by the results and global praise ‘Heavy is the Head that Wears the Crown’ achieved in just 24 hours since the first official music video was released… the rest as they say is history. Meraki United is a design, broadcasting and media production company started by Portia Ratnayake and Randy Perera, partnered by Shayne Perera, and is now making waves at the moment as a cutting edge creative agency doing things with a bang and in its own unique way. This collaboration with Stigmata has paved a benchmark for raising the bar in the creative industry to new levels. Meraki United has produced two official music videos for ‘Heavy is the Head that Wears the Crown’; one with Sri Lanka’s cosplayers and the second music video with the band given a treatment where all the lyrics are shown in a funky way. 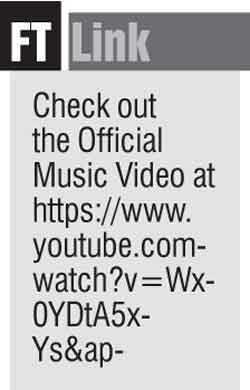 Both music videos are great and fans can expect the second official video to be released shortly. “We realised how passionate the team at Meraki United was just by sharing ideas and discussing concepts for the music videos back and forth. These guys were on it and were so passionate about it, even we got more excited! We loved working with them and look forward to collaborating with Shayne, Randy and Portia in future as well. It certainly helped that these guys know our music and were familiar with our body of work. It was like a powerful infinity gauntlet slipping effortlessly into a hand,” commented Tenny cheekily. Stigmata’s last collection of original new music was the album ‘The Ascetic Paradox’ which was released in 2015, followed by the band’s ‘Paradox Tour of New Zealand’ while the ensemble’s last official music video being ‘On the Wings of the Storm’ released in 2013 which was a song composed and featured on the bonus disc of the Hollow Dreams 10 Year Anniversary Deluxe Album. home to Thisara Dhananjaya on bass who tackles the majority of the band’s videography and Shafeek Shuail on rhythm guitars (who is responsible for the fabulous artwork for ‘Heavy is the Head that Wears the Crown’). The band’s founders Tennyson Napoleon (lead guitar and principal songwriter) and Suresh de Silva (vocals/lyrics) round up the sonic charge. Stigmata has been taking audiences by storm with select monthly performances, having the novelty of being the first Heavy Metal band to perform at the 139th Battle of the Blues, the Royal-Thomian Big Match in February, making it also the first band to perform an all-original set at an event which is legendary for its papare bands, covers acts and DJ music. The band thereafter celebrated its 18-year anniversary with a special intimate invitee-only show at Bar Collective at Liberty Arcade and raised a tempest at Mosh Scream Rock XII at Shalika Hall recently. The ensemble is confirmed to play at Rock Saturday on 26 May at Women’s International Hall. Adding onto that impressive list of accomplishments the band succeeded in composing and creating ‘Heavy is the Head that Wears the Crown’ on time for the worldwide release of ‘Avengers: Infinity War’. The song possibly has their finest recording quality to date, a crystal clear production capturing the band’s new sound; razor sharp seven-string guitars, pulsating groove on bass with catchy bass lines, soaring vocals mixed together with harmonies and aggressive vocal layers and double bass infused drumming with percussive skill. The song stays true to the band’s formula with all the stops and pulls and explosive arrangements with a strong Lankan flavour blended into the sound but at the same time sounds unlike anything they have worked on before. If one thing is for sure it’s that the new song is generating a major buzz in a heap of circles, where the song’s tight groove and catchiness has even those without a fondness for Rock and Metal music left appreciating the song. Stigmata wishes to thank Ushan Gunasekera, Shayne and Randy Perera, Kasun Nawarathne, Nimra Savanghan, Izzy Wildchild, the Arcane and everyone who contributed or aided in any way in helping make the track and video successfully in the month of April. “We wanted to musically and lyrically capture the essence of the original ‘Infinity Gauntlet’ storyline from the ’91 comic arc, while fusing in the main focal points of the feature movie trailers as well. It needed to be huge in scope and sound and execution, but not pretentious and not overly abrasive. We were cognisant of the importance of staying true to our formula while stretching our wings to new terrain as well. It’s got that tight knit breakdown style groove we are known for, the metric timing shifts that needed to flow without interruption, those vocal melodies and hooks that draw people in, we wanted to fuse in a local flavour as well to the arrangement because we are and will always represent Pure Sri Lankan Metal. “Lyrically, our goal was to narrate and tell the story, interspersing the ideologies of the heroes, the responsibility and accountability of having power to make a difference. The choice to do so or not. And to culminate it all with the arch-villain’s sentiments, and so Thanos is largely mirrored in the build-up towards the end. But I would like to also point out that our lyrics too always tell a story, and they are woven so they are multi-dimensional and can be interpreted by the listener or reader subjectively. There is a duality for sure. One paying homage to the Marvel story arc and the other questioning what it means to be human. How far would we go? How far would we not? What inspires us to really push the envelope of our own limits, setbacks and possibilities? What makes us human?” frontman Suresh remarked. Stigmata is humbled and shocked at the response acquired in such a short span of time for the track and first video. The band confesses that the feedback to the new song and first official music video for it has been stellar and bigger than any reactions the band has experienced so far in 18 years. Adding onto the song and music video’s success is feedback and responses from musical alumni the world over; from Grammy-winning icons to leading musicos globally, from writers, journalists, artists and bloggers, producers and Heavy Metal Rock fans from the US, UK, Australia, New Zealand, India, Bangladesh, Maldives, the Middle East, many parts of Europe and found acclaim among domestic fans as well. Stigmata is also the first Heavy Metal/Rock act in Sri Lanka to ever reach over 1,000 views and 81 likes in less than 12 hours and over 1,500 views and 111 likes in a little over 24 hours. A massive feat considering this was without any mainstream publicity or promotions and only pushed on social media with word of mouth. Stigmata also became the first band in Sri Lankan Rock and Metal history to have an official music video premiered before a private screening of an international movie at a Sri Lankan cinema! ‘Heavy is the Head that Wears the Crown’ was shown in its entirety before ‘Avengers: Infinity War’ at a local movie theatre as part of an infrastructure project fund raiser by S. Thomas’ College, Class of 2002. Whatever your thoughts and feelings, here is a band that has survived many a hurricane in 18 years and continues to make hard-hitting and emotionally-challenging music. Not many bands and artists accomplish that delicate balance between staying within the playing field of their existing formula while diversifying and honing something fresh each time. After 18 years Stigmata still sound and play like five teenagers hell bent for leather and with a desire to leave no creative stone unturned. Some might even go so far to say that the group sounds better than ever. Give the new song a listen and watch the first official music video produced by Meraki United (check their official FB out as well) and stay tuned for the second music video and official audio release which will be released soon. This is powerful and mind-blowing stuff. Because ‘Heavy is the Head that Wears the Crown’ will stay with you just like a crown, except this one you might not be able to take off easily anytime soon.